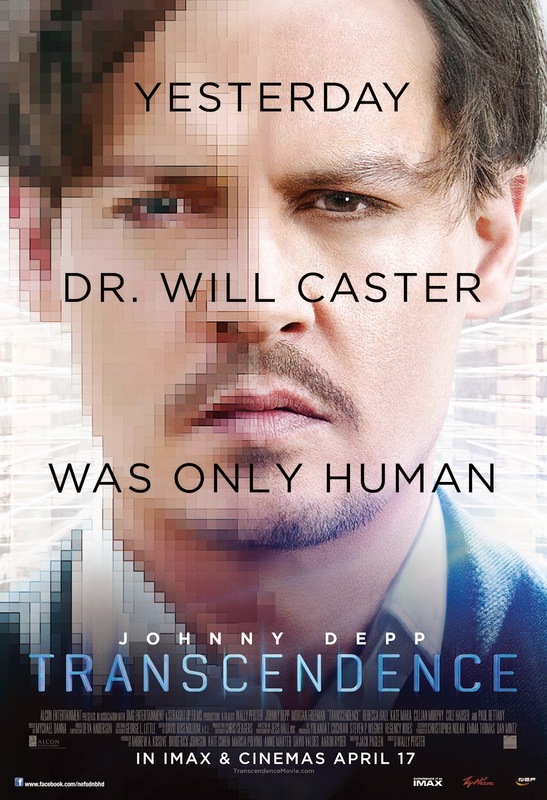 Johnny Depp plays Dr. Will Caster, one of the most important artificial intelligence (AI) researcher in the world, whose dreams are to create a machine that’s self-aware and able to gradually possess intelligence way beyond human grasp. The assassination attempt by RIFT, an organisation of anti-AI extremists, fails but the radioactive bullet leaves Will with only a month to live. 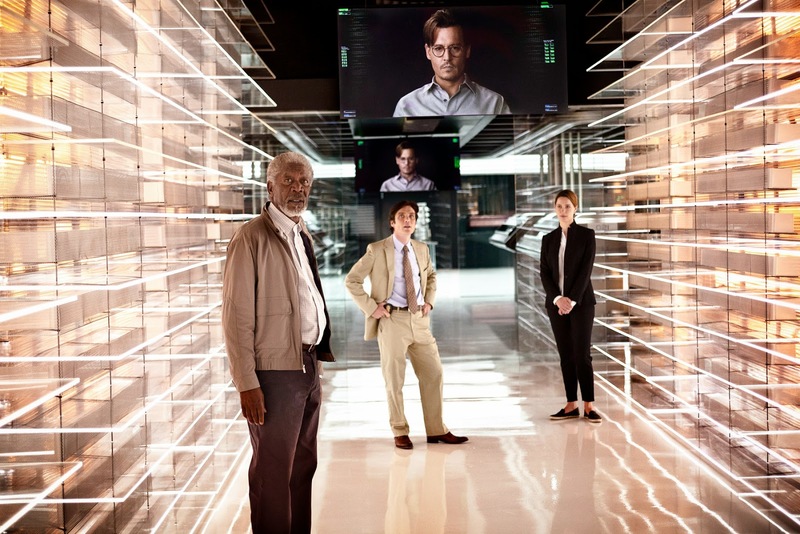 With the help of his wife Evelyn (played by Rebecca Hall), he “survives” by having his mind completely uploaded to the AI machine he created and in less than days, he’s become so intelligent and powerful that it’s virtually impossible to stop him. His best friends Max (played by Paul Bettany) and Joseph (Morgan Freeman) are forced to join the extremists along with FBI agent Donald (Cillian Murphy) with consideration that Will may be a serious threat to the world. 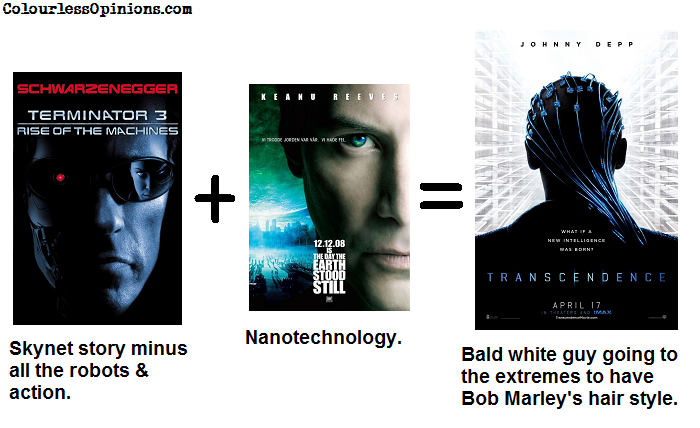 Not Johnny Depp’s worst performance, I believe, but definitely a forgettable one. As you have read above, this film has some great actors, performing as much as their roles require, but it suffers from the lack of any real originality, emotional engagement and a tighter script. The plot’s basically exactly like Terminator‘s, just that this one’s a drama and no time-travelling robots knocking each other out. When it comes to the subject of the dangers of having self-aware AI, it’d never fail to intrigue and relate to us as it could really happen in the near future, and the pacing is not exactly what I’d call slow, but just that nothing really exciting happens in the movie. And it’s not as defining or thought-provoking as Her, the brilliant 2013 Spike Jonze film with the similar subject. The first-time director Wally Pfister has been a long-time cinematographer, which explains the beautiful visuals, but he fails to realise what a bore and how flawed Jack Paglen’s script was. Ultimately, it’s like flipping through a pretty catalog that shows possible technological advancements (like nanotechnology, remember the 2008 remake of The Day The Earth Stood Still starring Keanu Reeves? ), and that’s what really kept me in my seat, I believe. Now, let’s talk about some of the major flaws in the plot. [WARNING: Spoilers from here until the end of this paragraph and the one after] Evelyn, Will’s very close and loving wife, is obviously capable of helping the advancements of AI but why didn’t RIFT attempt to assassinate her as well? When the FBI and Joseph realise that Will may be a global threat, why didn’t they try to get the entire army of the world to go against him? Instead, they’d rather risk it by joining forces with RIFT just so that they can have a scapegoat for a coverup. If Will’s so intelligent, why doesn’t he know that the world would not understand his advancements? An AI that smart should have a plan of getting the world to accept him instead of making it seem like he wants to take over the world. I do, however, liked the ending where it’s revealed that Will’s real motivation all along have always been to achieve Evelyn’s dreams of improving the world and saving the environment, and that he didn’t kill a single person in the entire film. But the previous scene sort of contradicts it as Will didn’t do anything to protect or prevent Evelyn from getting injured when they’re being attacked. Censorship in Malaysia: I watched the film at the premiere screening held at Cathay eCurve and didn’t notice anything censored. Second opinion: My girlfriend thought it was okay and was touched at the end. She liked the concept but also felt that the film’s a bit “strange” (she couldn’t explain what she meant by that). Verdict: Familiar but still interesting premise, but far from being entertaining. Definitely one of Johnny Depp’s most forgettable films. I’d rather shake hands with the Prime Minister than to watch it again. Couldn't find anything interesting about the film. Since it was so lack of any real action, sort of predicted the ending so there was not much surprises for me. I do however felt rally agitated as to how passive all the characters behave in the film. And how seemingly easy RIFT found out that they were building something in the middle of nowhere and waited in a hole for 2 years. it's like a couple who refuses to talk and understand each other.